Clinton is an aluminum angle distributor, offering two popular products: 6063 and 6061. 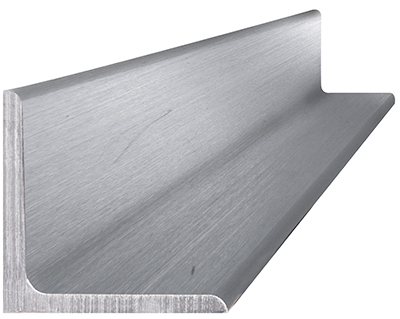 The 6063 aluminum angle offers excellent weldability and is used in architecture, window/door frames and furniture. 6061 aluminum is commonly used in the aircraft industry. For complete pricing and stock information on our aluminum angle products, please call 800-826-3370. Aluminum angles are any aluminum products which are extruded to form an angle, most commonly at ninety degrees. The edges may be rounded or squared off depending on the customer’s requirements. 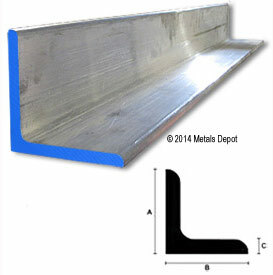 Clinton is your aluminum angle distributor, and we carry aluminum angles in the 6061 and 6063 alloys. Please call 1-800-826-3370 to speak with us about available stock, pricing, and shipping. Please call 800-826-3370 to speak with us about available stock, pricing, and shipping. Aluminum angles are used in a variety of different applications, though most commonly as structural components designed to hold or support something else. Some aluminum angles are intended for architectural uses, while others are used in machinery and in industry. Aluminum has a number of advantages over other materials. Aluminum is lighter and cheaper than stainless steel, and it is substantially cheaper than wood materials. Aluminum is generally highly resistant to corrosion, cannot be damaged by insects, and when using certain alloys can have an extremely high strength-to-weight ratio. 6061 aluminum is one of the most common aluminum alloys on the market today and is created by mixing aluminum with magnesium and silicon. The alloy has an excellent combination of a high strength-to-weight ratio, some of the best corrosion resistance among any aluminum alloys, and high machinability. It can be anodized to give it a more pleasing finish. Because of its versatility, it is used in numerous different industries. 6061 angles are suitable for airplane parts, automobile parts, structural supports, couplings, and marine equipment. 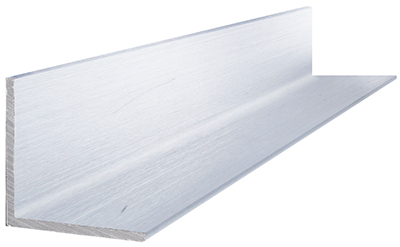 6063 aluminum is an extremely popular aluminum alloy for architectural applications. It has a good balance of high strength, low weight, good corrosion resistance, and weldability. It is extremely easy to anodize this material, which can give it a pleasing appearance and enhance its attractiveness as an architectural material. The 6063 angle is created with squared edges, which makes it suitable for doors, windows, and supporting pieces for buildings.